For almost three years, Polar has launched the M430, a successor to the successful M400 sports watch. Visually, the new Wearable hardly differs from its predecessor. If you look under the small training computer, flashing LEDs flash immediately. They measure the pulse at the wrist, which eliminates the annoying wearing of a chest strap. A total of six LEDs take the heart rate-on other models it is usually only two. The higher number, according to the manufacturer, allows the heart rate variability to be recorded and the heart rate variability to be recorded-an indicator of the fitness state of the wearer. The integrated sensors record the actual speed, distance and altitude differences in addition to the heart rate. All this works even in enclosed areas, which makes the M430 interesting not only for runners, but also for other athletes. 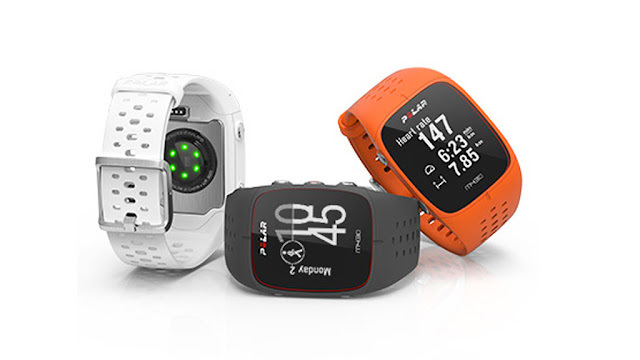 In addition, the GPS training computer should be waterproof-Polar itself describes it as "suitable for swimming". And last but not least, the display, like the M400, displays notifications of incoming calls and messages. From May 2017 the M430 comes in three different colors (orange, black, white) to the dealer and costs just 230 euros.